Misty's Tornado Warning, Taz for short, is the first foal of his dam Stormy Mist. Tornado Warning was named in honor of his sire, the formerly wild Chincoteague Pony Tornado. 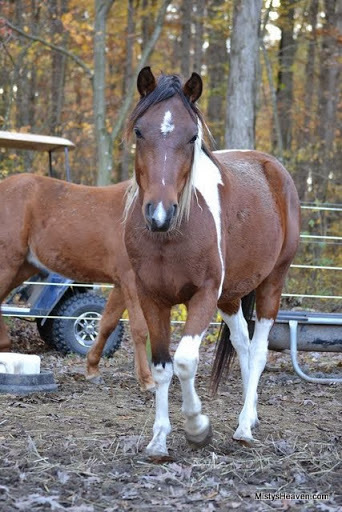 He was born at Hawkeye Stables in Maryland and was owned by Debbie Ober. Taz was sold to Caitlyn Wolfe. Catilyn adores Taz and has trained him to ride.